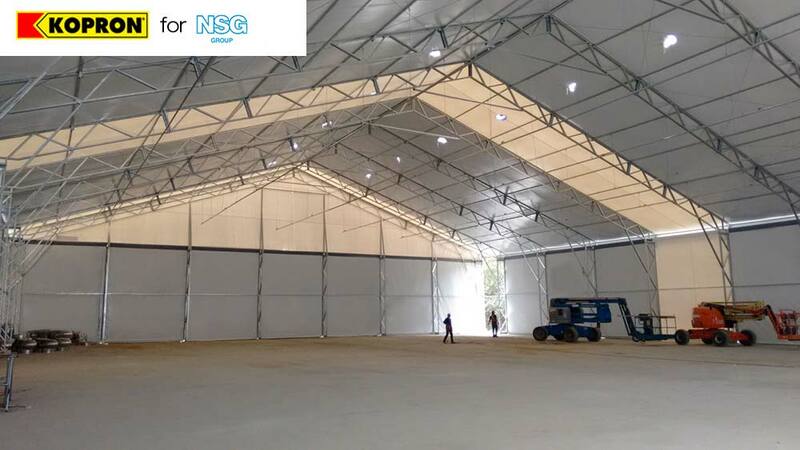 Kopron do Brasil and NSG-Pilkington group, global glass leaders, worked together in a very important project for the creation of a huge shelter to host a new production pole in São Paulo do Brazil. 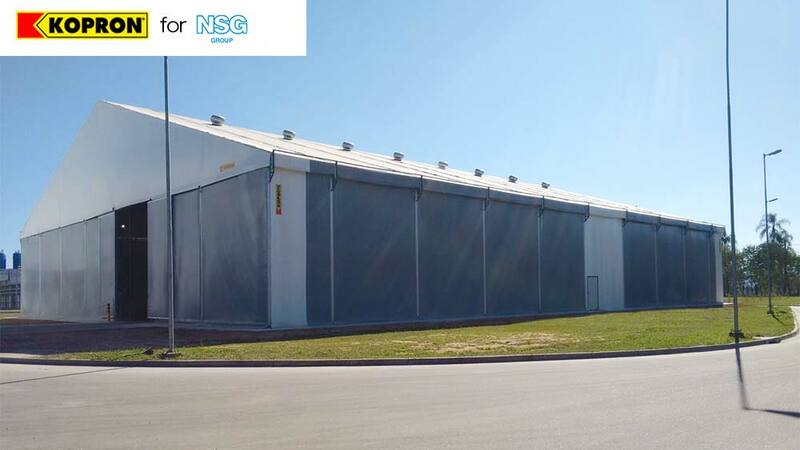 Three big free-standing warehouses were produced to cover an area of 6,500 m2. 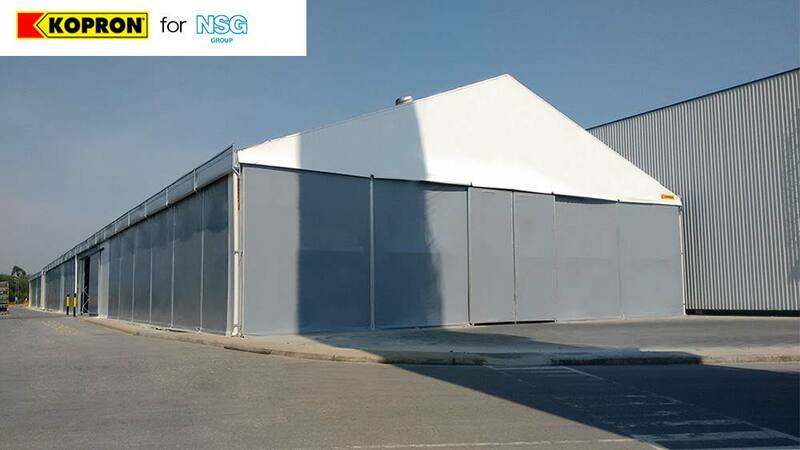 “NSG group chose Kopron for the new production pole at Caçapava, in São Paulo, for the quality and quick installation which characterize our products’’ - said Sebastiano de Silva – Sales Manager –“Kopron warehouses are made in modules and are easy to assemble/disassemble, this is the reason why they have been particularly appreciated’’. As a matter of fact it took only one month to assemble the warehouses. - warehouse 1) Length 35x depth 46 x height 6m. - warehouse 2) Length 25x depth 100 x height 6m. - warehouse 3) Length 25x depth 40 x height 6m. Kopron also supplied accessories like: aeration and lighting system, gutters and safety doors. The carrying structures are made in hot-dipped galvanized steel tubes, which guarantee anti-seismic performance. The fabric covering the structure is in fireproof PVC with excellent insulating properties. “The steel used allows to widen, move, divide the structure in short time according to customer’s need of the moment” - said Giacomo Niccolai, General manager at Kopron do Brasil – “it is also possible to change from fixed to retractable structure by adding steel wheels”. 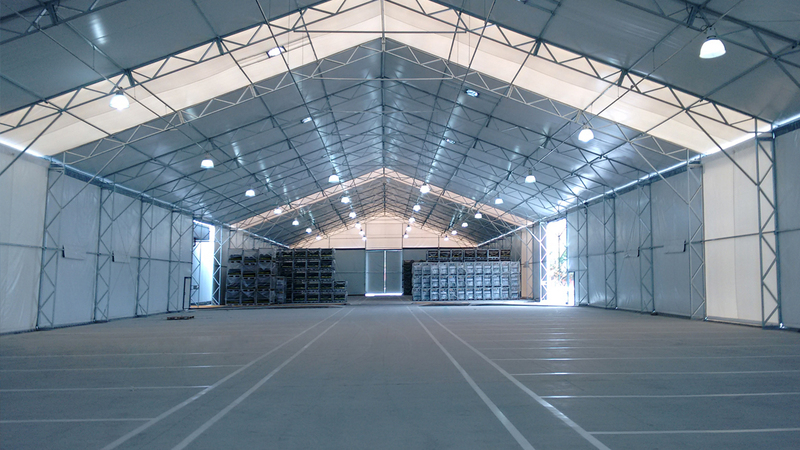 Kopron warehouses are far cheaper than classical buildings in concrete, and installation requires little paper work, these are winning factors that make Kopron products so competitive in the market. 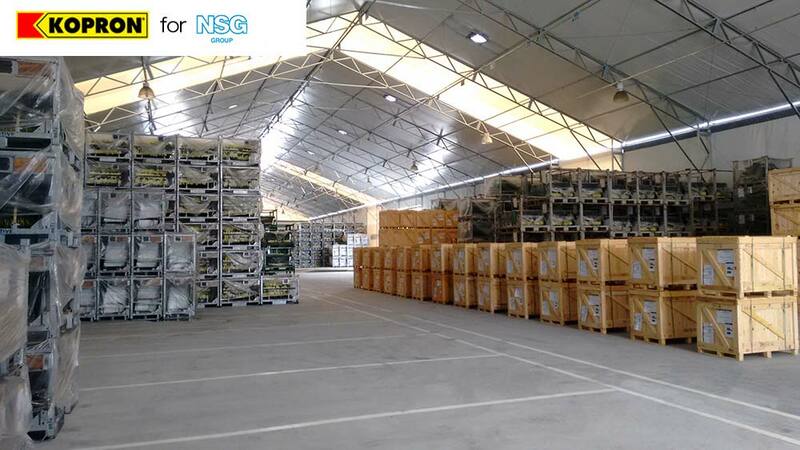 Founded in 1918, NSG Group is now in four continents, well-known for technology excellence and great innovation capabilities. NSG group is one of the world’s leading manufacturers of glass with Pilkington brand (the company was founded in 1826 and from 2006 it has become part of the NSG Group) operating in three main sectors: building, automotive, and glass for special applications.